Here you can find the latest news from The Alliance of Independent Authors. London, UK, March 13, 2019 — Jane Davis, member of the Alliance of Independent Authors (ALLi) and author of Smash all the Windows, was announced at London Book Fair (LBF) late Tuesday as the winner of the top prize in a new award to recognize the best work of fiction self-published in the UK in 2018. 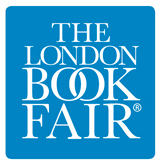 London, UK, March 3, 2019 — Independent authors will make a big appearance at the 2019 London Book Fair (LBF). Members of ALLi, the Alliance of Independent Authors, are flying in from all over the world to take part in one of the year’s largest global publishing events. finds indie authors have no plans to retire. But safeguarding intellectual property is key to security in later life. A survey conducted informally by ALLi through one of its member forums (of more than 1600 independent authors working in the UK, US, Canada, Australia, and the EU), revealed that the overwhelming majority have no plans to retire from their writing. 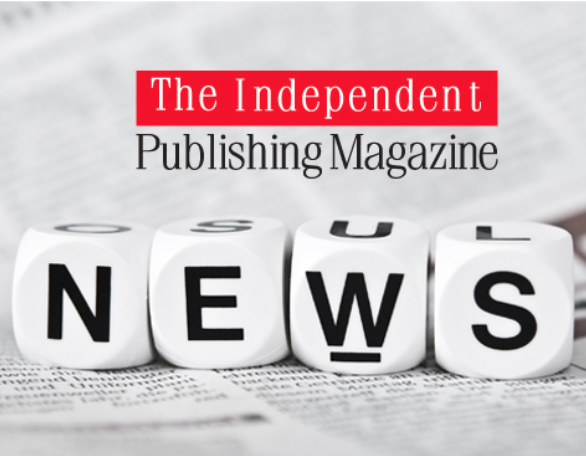 London, UK, December 3, 2018 — Ten years after the widespread adoption of self-publishing by the author community, the Alliance of Independent Authors (ALLi) is calling on the governments in six individual publishing territories—Australia, Canada, Ireland, New Zealand, UK and US—to recognize the entrepreneurial nature of the new indie author. And to acknowledge the social, cultural and economic contribution of their work. Government bodies, including ministries responsible for business, entrepreneurship, culture, intellectual property, the knowledge economy, and related industry organizations must get better at identifying, tracking, quantifying, and supporting independent authors and other creative digital micro-businesses. New BookBrunch/London Book Fair award for self-published authors opens with Ingram named as headline sponsor. Submissions open today, 5 December, for the inaugural Selfies Awards, launched by BookBrunch, in association with the London Book Fair, to celebrate one of the fastest growing sectors of the book trade. Read the full BookBrunch release here. Nashville, TN, September 30 – This is the future, now. ALLi, the Alliance of Independent Authors, is celebrating the new wave of publishing represented by the Digital Book World (DBW) conference in Nashville, Tennessee, October 2-4, 2018. ALLi applauds the move of DBW from old to new publishing, from the establishment to the fringe, and from NYC to Nashville. “We love that it’s a conference which has flung the door open to publishers of every sort and size, from trade publishers to Amazon and Ingram and PublishDrive, to micro indie-publishers and self-publishing authors,” says Orna Ross, founder and director of ALLi. ALLi’s theme for the conference is: True Independence for Authors Is Commercial and Creative Independence. Are you ready for self-publishing 3.0? In a new white paper released today on #selfpub3.0, the Alliance of Independent Authors details how, for the first time, authors can now join the ranks of other creative entrepreneurs in growing their independence and building sustainable author businesses. The Alliance of Independent Authors just launched its Blockchain for Books campaign and has published a white paper assessing the technology’s potential. The association says blockchain and other hypertext software systems “supersede copyright protection” and prevent piracy by providing “indisputable” proof of ownership. By supporting smart contracts, the technology puts intellectual property rights back in the hands of authors, the association adds. Howard Lovy, managing editor of the Alliance of Independent Authors, tells ThirtyK that artificial intelligence and other “discoverability algorithms” could eventually bridge the author-reader gap more effectively than the current systems of keyword searches and sales figures. More here. History was made at the 2018 London Book Fair—at a Tuesday afternoon session, Josef Marc, CEO of upstart blockchain publisher Publica, announced that the company had just gone live in the Google Play Store with author Sukhi Jutla’s Escape The Cubicle: Quit The Job You Hate—in effect, Marc said, creating the world’s first #1 title on the “blockchain bestseller” list. at a panel packed with curious authors and publishers at the 2018 London Book Fair, The Alliance of Independent Authors (ALLi) handed out its just-released white paper “Authors and the Blockchain: Towards a Creator Centered Business Model,” and heard from a panel of experts and early adopters. ALLi’s study shows blockchain could create “a new ecosystem which places authors at the head of the payment chain” through direct tracking of intellectual property and monetary rights, leading to “true independence” for self-published writers. 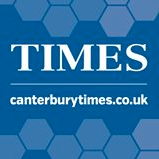 It would enable them to supply digital products direct to readers, and could bring an end to them “relying on a single outlet”, said ALLi director Orna Ross. For a more in-depth look at what Blockchain may be able to offer authors and publishers in the future, The Alliance of Independent Authors has written a very good article on the possible applications of Blockchain technology for books. If you would like a more technical based explanation, this article from Blockgeeks gives a good beginners guide to Blockchain. There are many that think the hype around the blockchain is a bubble that will burst, but it could have a profound effect on the publishing industry as a whole. The Alliance of Independent Authors, (ALLi) and licensing marketplace IPR License, are both taking it very seriously. In fact Alli has set up a committee and a campaign called the Blockchain for Books to investigate the opportunities and present a white paper of reccommendations. Led by Orna Ross, an Irish author, and the founder of ALLi who has been named one of the top 100 most influential people in publishing by The Bookseller, the white paper, when released should be of great interest to the global publishing industry. Despite those early misgivings, Pronoun earned the approval of indie authors, including myself and fellow ALLi Watchdog Giacomo “Jim” Giammatteo, and ALLi decided to give the service the benefit of the doubt and observe closely what unfolded. So Monday’s sudden announcement of the closure of Pronoun was a shock and a disappointing end for a service that held such promise. SELLING FOREIGN RIGHTS – IT IS EASER THAN YOU THINK! For most authors, whether traditionally published or self-published, the thought of selling foreign rights seems daunting. The common mindset is authors lack the capability to exploit foreign rights on their own …How Authors Sell Publishing Rights, Helen Sedwick and Orna Ross (ALLi How-to for Authors Guidebook Book 4). PAY WITH BITCOIN AT AMAZON? For those who haven’t been following the bitcoin debate, Orna Ross has a great post at ALLi explaining what it might mean for publishing, Porter Anderson went into the topic in some detail over at Publishing Perspectives, and Zsofia Macho covered the topic for PublishDrive. This article was written in anticipation of the ALLi organized session at Frankfurt Book Fair on this topic and will be updated with the developments. It has been inspired by ALLi and the articles written by Orna Ross. Ross and the alliance have arranged another of its online Indie Author Fringe events for October 14, the day after the independent author program in Hall 3.0, which will offer a series of informational segments for independent writers online, timed to coincide with Frankfurt Book Fair. DEXTER, Mich. (WXYZ) – Employees at Thomson-Shore, a publishing and printing company that has been around for more than 40 years, heard about a local woman’s publishing nightmare and reached out to help her fulfill her dreams. Spall suggests that authors research companies they’re considering doing business with, with the help of the Alliance of Independent Authors or The Independent Publishing Magazine. Be sure to check back here tomorrow for our latest edition of e-Book Cover Design Awards where we’ll be featuring another round of e-book covers. This is always an interesting and educational post for indie authors. The shopping site then employed a more traditional approach, with a panel of judges including the actor Lily Cole, authors Rachel Abbott and Orna Ross and members of the Amazon books team eventually eventually settling on Leadbeater’s entry. The panel of judges who decided upon the winning book included actress and literacy campaigner, Lily Cole; best-selling author Rachel Abbott; Irish author, former literary agent and founder of The Alliance of Independent Authors, Orna Ross; the Metro’s Books Editor Claire Allfree; as well as members of the Amazon Books team – UK Head of Kindle Singles and Chair of Judges, Andrew Rosenheim; UK Kindle Content Director, Amy Worth; and UK Editorial Director for Amazon Publishing, Emilie Marneur. David Leadbeater has won the inaugural £20k UK Kindle Storyteller Award for his self-published crime thriller The Relic Hunters. The winner was decided on by readers and a panel of literary judges, including Cole; author Rachel Abbott; founder of the The Alliance of Independent Authors, Orna Ross; the Metro’s books editor Claire Allfree; and members of the Amazon Books team, UK head of Kindle Singles and chair of judges, Andrew Rosenheim; UK Kindle content director, Amy Worth; and UK editorial director for Amazon Publishing, Emilie Marneur. The UK Kindle Storyteller Award is in its first year and was established to recognise newly published work in the English language across any genre. The panel of judges includes actress and literacy campaigner, Lily Cole; best-selling author Rachel Abbott; Irish author, former literary agent and founder of the The Alliance of Independent Authors, Orna Ross; the Metro’s Books Editor Claire Allfree; as well as members of the Amazon Books team – UK head of Kindle singles and chairman of judges, Andrew Rosenheim; UK Kindle content director, Amy Worth; and UK editorial director for Amazon Publishing, Emilie Marneur. Orna Ross was on the “Publishing – An Evolving Business” and the “Writing Craft – The Creative elements” panels at the Dublin Writers’ Conference. Aimed at writers to improve their craft, self publish successfully, and undertake the marketing necessary for any author to achieve success. The “Watchdog Desk” of ALLi, the Alliance of Independent Authors, has given the BookLife Prize a rating of “Recommended.” ALLi is a staunch advocate for self-published authors, and their approval is a great sign that this contest is reputable and worthwhile. NOT SURE HOW TO PUBLISH YOUR BOOK? Orna Ross, director of The Alliance of Independent Authors (Alli), says… Every author needs a good editor, which could come at a cost of £1,000. Add the cost of a designer for an eye-catching cover, and someone to oversee the marketing and she estimates that the total cost of a professionally produced book, either digital or on paper, could be between £2,500 and £5,000. There are self-publishing publishers that, for a fee, can assist you with this. You also need to decide whether to publish only e-books or include printed versions (hardback and softback editions) as there are cost implications to both. Orna Ross, Founder of Alliance of Independent Authors said: “Digital publishing means writers today can take creative control and publish their books, their way, to a global audience and can now earn a living from their writing as never before. “Amazon Academy has been a great opportunity to find out more about producing and selling books using Amazon’s first-class independent-publishing programmes. No matter what kind of writing you’re into, peers can be useful. Check out these organizations for online resources, career and legal aid, conferences, writing groups, and more. Alliance of Independent Authors: An association for authors who self-publish with seminars and events specific to the self-publishing industry. There is a certain tendency in books selected for Literary Nobel or the Booker Prize; educated guesses of winners are usually correct. 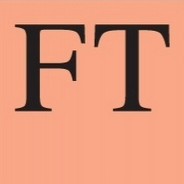 The Folio Prize, however – created after an announcement by the Booker’s judges in 2011, stating that they prefer “readability” when selecting the winner – is open to any authors writing in English and is accepting self-published books: this way they can cover works in uncommon topics or forms. The Alliance of Independent Authors (ALLi) won’t stop until self-published books are eligible for any competition. Many writers have come to rely on the Alliance of Independent Authors’ (ALLi) Watchdog Desk to test claims of service and value. At the Digital Book World (DBW) Indie Author Conference on January 19, we were so pleased to have Orna Ross, author (traditionally and self-published) and founding director of the Alliance of Independent Authors (ALLi), join us from London to provide an overview of where things are today for self-publishers. Now that the independent sector of the publishing industry has matured for years−we sometimes call it Self-Publishing 2.0 now−Ross agrees with us that indies are in a far better place than in the past. The jury will include the bestselling author Rachel Abbott, Orna Ross from the Alliance of Independent Authors (Alli), the self-publishing association, model and actress Lily Cole and two British Kindle leaders. The 29-year-old model-and-actress is “delighted” to be on the panel for Amazon’s Kindle Storyteller Award alongside a number of experts including author Rachel Abbott and Orna Ross, the founder of the Alliance for Independent Authors, and can’t wait to get stuck into the shortlisted tales. Lily Cole will be a judge for Amazon’s Kindle Storyteller Award. The model, actress and literary campaigner will join bestselling Kindle Direct Publishing author Rachel Abbott and the Alliance for Independent Authors’ founder Orna Ross on the judging panel. Irish writer Ross is a former literary agent and founder of the Alliance for Independent Authors – a professional association for authors who independently publish their work. At the conference, Orna Ross, the founder of the Alliance of Independent Authors, laid out these seven essential processes for publishing successful books—regardless of which publishing model you’re following. We couldn’t agree more. The Alliance of Independent Authors (ALLi) founder Orna Ross and author Joanna Penn today (Tues Jan 24th, 2017) launch a new online monthly show for emerging and experienced self-publishers. The show will deliver all the latest tools and trends for indie authors. Orna Ross announced as a conference Speaker. Our instructors are renowned, highly-experienced, published authors, and world class experts in writing craft and online marketing, specifically for authors. This weekend conference provides practical support, valuable training and an opportunity to meet and get to know fellow writers in one of the world’s great literary cities. “The Freedom To Publish: The Sophisticated Ways Of Today’s Indies” with Orna Ross and Jon Fine. How did we arrive at what some are calling “Indie 2.0”? What are the specific characteristics and advantages of the “new professional author”? In this kickoff, two of the biggest influencers in the business, from the United States and the United Kingdom, open the day with insights on how we got here and inspiration on where it is we’re going. Through events and workshops, DBW Indie Author aims at providing a view of the current indie author landscape – its challenges and opportunities – as well as practical information on how to be better, more professional publishers and move forward with your publishing goals. Jane Friedman, Orna Ross – founder of ALLi, Ashleigh Gardner (Wattpad), Mark Lefebvre (Kobo), Steven Spatz (Bookbaby), Kelly Gallagher (IngramSpark), Data Guy are among the speakers. This is one of those books that got me at the first page. Unlike some novels set in different periods, the transitions back and forth from one to another are beautifully done and there are no inconsistencies in the narrative. 10 Helpful Books on Self-Publishing: How to Choose a Self-Publishing Service by Giacomo Giammatteo and Orna Ross. Indie publishing is becoming a norm for all kinds of writers and a lucrative and fulfilling one at that. I’ve heard enough success stories from other authors to know that with the right amount of work, self-publishing can pay off much more than letting someone else publish your book so it can sit on the shelves for a few months. Kicking things off at the 2017 Digital Book World will be Orna Ross, Irish indie author and Founding Director of the non-profit association for self-publishers, Alliance of Independent Authors. Orna Ross appeared on Triskele’s LitFest’s Historical Fiction Panel in September. Orna writes novels, poems and the Go Creative! books and is Director of the Alliance of Independent Authors. Her Secret Rose is the first of her trilogy about the poet WB Yeats. 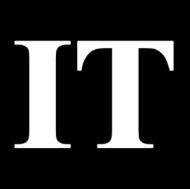 The publishing industry in Ireland is changing: traditional publishing is no longer the only route to publishing success and The CAP Awards is leading the way in its championship of Irish independent authors. 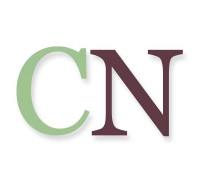 The CAP Awards is also a reader’s guarantee of quality, offering readers fresh, new voices and vision only available from independent authors combined with professional, high-level standards of publishing. Orna Ross, the director of the Alliance of Independent Authors (ALLi), has won the best novel award at the inaugural Carousel-Aware Prize (CAP) for independent publishing. Ross won for her novel, Her Secret Rose, a literary-historical novel about the love affair between W B Yeats and Maud Gonne. The Carousel Aware Prize for the best independently published books in Ireland will be announced on Tuesday the 25th of October 2016. Judges include best-selling authors, Jax Miller, Louise Phillips and Claire Hennessey, as well as Books Ireland editor Tony Canavan and Carolann Copland, independent author and founder of the Cap Awards. Best Novel nominee, Orna Ross for Her Secret Rose. Whether you’re joining us at Frankfurt Book Fair or following along from afar, there’s good listening for publising people just about everywhere these days on the international podcast scene. Orna Ross, founding director of ALLi, will be on the program of Frankfurt’s International Author and Self-Publishing day of programming, at 10 a.m. on the Publishing Perspectives Stage, (Hall 6, E11), to brief the attending authors on the world state today of the indie movement and trends of key importance for their careers. Ross tells us that a part of her own Go Creative! podcast series may emanate from Frankfurt, as well. Orna Ross was on the panel at this session targeted at authors, both traditionally and self-published to learn and discuss how to build and protect their business and ensure success. Also on the panel, Piers Blofeld (an agent at Sheil Land), Catriona Troth (Author), and Steven Williams (Co-founder of Midas Public Relations). SHELF STOPPERS: HOW DO YOU MAKE YOUR BOOK SELL? What do readers and retailers look for when buying books? How can you make your book stand out and ensure it sells both on and offline? Panel chaired by Stuart Evers (prize winning author and Community Manager at Netgalley), and on the panel, David Headley (Agent, Owner of Goldsborough Books, and Founder of online store Bookman Black), Orna Ross (Author and Founder of The Alliance of Independent Authors) and Matthew Lynn (Author, Daily Telegraph Columnist and Founder of Endeavour Press). Like more and more traditionally published authors these days, Orna Ross took her rights back from a large traditional publisher to re-publish her books herself. In this episode you’ll hear Orna’s story about what ALLi is doing to help Independent Authors, and learn how you can be involved with the group. Orna Ross, Director of the Alliance of Independent Authors about selling publishing rights. Self-publishing has been an established route to market for authors in a diverse range of genres for over a decade. Orna Ross, author and Founder-Director of the Alliance for Independent Authors (ALLi) identifies the latest trends. We are mulling several ideas for how to work with self-published authors and are working with Orna Ross and the Alliance of Independent Authors (ALLI) on finding a proposition that caters to individual authors and is economically viable for Jellybooks. We all know the creative process is, well just that, a process. It takes presence, principles, and practice to create a rewarding process. Our guest today, Orna Ross, is sharing her insights on the creative process and discussing her soon to be release series, Go Creative! 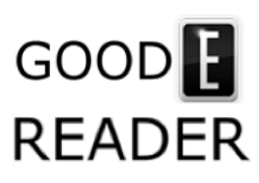 But what if it is not just readers you are after, but cash rewards? Orna Ross, founder of the Alliance of Independent Authors, believes the hard work of self-publishing can pay off. In the past traditional publishers would give the author around 10%, she says, negotiating a tough contract as they were the only route to market, with advances that were getting smaller. Perhaps 2016 is the year in which the Alliance of Independent Authors—which has almost half its membership in North America and which loves nothing more than a good campaign—would like to mount a new one. Call it the “10-for-1 Campaign.” Each author, for each title he or she produces, turns on 10 people to reading, 10 new readers, 10 people who have not made a habit of reading books in their lives, actual newcomers. Author Day welcomes both independent and traditionally published authors, as well as figures in the industry who work with them. This is neither an ‘indie conference’ nor a ‘trad event’. Orna Ross crowdfunded her Secret Rose project, an unusual limited edition that pairs two books in one volume and reflects William Butler Yeats’ interest in many aspects of his own publications. I asked Ross, the founding director of the Alliance of Independent Authors (ALLi), to give us some idea of what it’s like to wade into such an effort as she has undertaken with the Yeats. A BEGINNER’S GUIDE TO SELF-PUBLISHING: SO YOU’VE WRITTEN A BOOK – WHAT NEXT? And then I heard about ALLi, the Alliance of Independent Authors, and more particularly about its founder, Irish novelist, poet and lecturer in the creative and imaginative process, Orna Ross. The Alliance of Independent Authors (ALLi) founder and director Orna Ross also expressed concerns about the Writers’ & Artists’ Yearbook comparison service not long after it was set up. CAN WRITING BE A SOCIABLE ACTIVITY? We have three fantastic writers who won a competition we ran in partnership with the Alliance of Independent Authors running funding campaigns at the moment. Everything You Need to Know About Self-Publishing with Debbie Young, a successful self-published author and key player in the Alliance of Independent Authors. IndieReCon: A virtual conference put on by the Alliance of Independent Authors, a group that works tirelessly for indie authors. Indie Author Fringe Festival, a self-publishing conference for authors on 17 April 2015, hosted by ALLi and IndieReCon. A new study by FicShelf–with support from the Alliance of Independent Authors and the Society of Author looked at authors’ sales, earnings, and rankings. Debbie is a key ALLi player and co-author of ALLi’s most recent guidebook for authors, “Open up to Indie Authors”, which equips authors to make the most of opportunities that modern self-publishing offers. 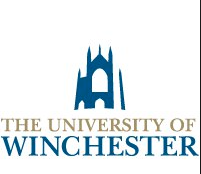 Vanessa O’Loughlin, who is also the Irish representative of the international umbrella organisation the Alliance of Independent Authors, will be on hand to discuss the essential steps to successful self-publishing. Debbie Young, self-publishing guru and blogger for the Alliance of Independent Authors, discusses the merits of good self-publishing and how to go about it. 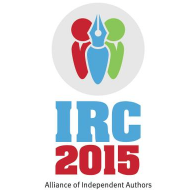 IndieReCon is back for 2015 – and this year, we’re partnering with the Alliance of Independent Authors (ALLi). Read contracts carefully, and don’t be afraid to ask for help. The Alliance of Independent Authors offers guidance to indie authors navigating the tricky world of rights. Jim Giammatteo of The Alliance of Independent Authors put together his thoughts and some analysis of what the latest announcement by Bookbaby means for authors. As always, Jim nailed it. Orna has been at the forefront of ALLi’s ‘Opening Up to Indie Authors’ campaign that is working to improve the recognition of self-published titles as literary works within the publishing industry. ALLi announces their latest initiative, Ethical Author, focussing on the timely topic of author ethics. A preview of ALLi’s Self-Publishing Service Directory, launching in Beta testing at Frankfurt Book Fair 2014. Orna Ross joins a special panel discussion on self-publishing for London Book Fair’s Tech Tuesday meetup. ALLi’s Orna Ross and members weigh in on a Futurebook chat relating to Opening Up to Indie Authors. ALLi’s Open Up to Indies campaign featured as part of a wider piece exploring how the wider books industry is starting to welcome independent authors. ALLi’s new Self-Publishing Service Directory launches, bringing any author access to editorial advice and trusted service providers. 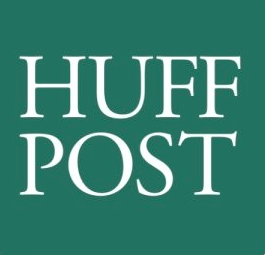 Orna Ross chimes in on the recent updates to the ongoing Amazon vs Hachette dispute, commenting on the dangers of setting authors in opposition to each other. In a special Blurb story, Orna Ross shares her experiences as a self-published writer – and why limits only help aid her creativity. ALLi’s Orna Ross featured in a BBC Business article about the costs of self-publishing – and why every author needs a good editor. 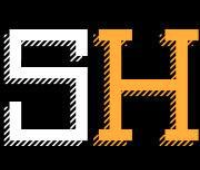 ALLi’s Orna Ross contributes to a discussion surrounding the recent Amazon-Hachette dispute – and explains why self-publishing offers a new direction beyond turf battles. Ahead of the 2014 Book Expo America, Orna Ross chats to Copyright Clearance Centre’s Chris Kenneally about ALLi and introduces how the association aims to unite author publishers. Orna Ross chats to The Guardian’s Richard Lea about the self-publishing revolution – and ALLi’s role in offering expert advice to it’s members. Also features Catherine Quinn, Hugh Howey, Gordon Wise, Jade Chandler and Philip Jones. “It was a special pleasure, as we focused on ALLi and its new “Opening Up” project, to be in Charleston at the PubSmart Conference’s debut, with Orna Ross, ALLi’s founder and guiding light.” – ALLI’s Opening Up to Indie Authors reaches the esteemed eye of Porter Anderson. “Independent authors are now crying out for recognition from the mainstream., with a campaign from the Alliance of Independent Authors calling for booksellers, reviewers and literary festivals to open their minds to the quality that can be found in self-published writing.” – As The Guardian launches a monthly prize for self-publishing, ALLi’s campaign shows the importance of recognising the quality in author-publishing. 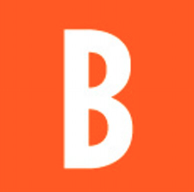 Ahead of the official launch of the Opening Up to Indie Authors guidebook, The Bookseller releases full details of the launch in association with Kobo Writing Life. Ahead of the 2014 London Book Fair, ALLi’s Director Orna Ross joined Jon Fine of Amazon and Hugh Howey on a panel at the Publishing For Digital minds Conference. 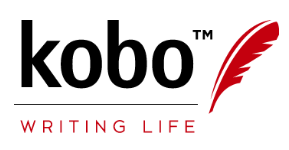 ALLi and Kobo team up to launch the Opening Up to Indie Authors guidebook and associated campaign at London Book Fair 2014. “Creativity is never orderly and neat; it’s colourful and chaotic and kaleidoscopic and we need a publishing scene that acknowledges, and is prepared to be more reflective of, that truth.” – ALLi launches Opening Up to Indie Authors campaign. “The Royal Society of Literature (RSL) and the Alliance of Independent Authors (ALLi) are joining together to back The Literacy Consultancy’s third Writing in a Digital Age Conference.”- ALLi announced alongside the Royal Society of Literature as associates of the upcoming Writing in a Digital Age Conference. “We are in the middle of a major change. I wouldn’t be at all surprised if we reached a situation where the majority of the top books are author-published.” – Orna Ross featured in the Guardian, commenting on the news that a quarter of 2013 US Kindle eBook sales were from indie publishers. “ALLi founder Ross has become a key voice for self-published writers, increasing their presence at LBF, taking the Alliance global and producing a handbook for those entering the field…” – Orna Ross is the first self-publishing figure to be featured in the annual Bookseller 100 report. “She pens novels and poems and the Go Creative! series, writes regularly on her Author Blog and is the founder of the The Alliance of Independent Authors (ALLi), a nonprofit, professional association for self-publishing writers.” – Orna Ross’ many guises are detailed in Indie Reader. “Everyone knew that these books were out there, and people were trading in it, letting it happen. If you’re going to trade in self-published books, you need to be able to filter them. This could have been avoided.” – Orna Ross defends self-published authors and calls for greater quality control on filtering titles. In light of the WHSmith/Kobo incident (resulting in the knee jerk removal of thousands of self published titles, Orna Ross speaks out for indie authors on BBC Radio 4′s PM Programme, discussing how and when self-publishing works. “Indeed, ALLi… are also reaching out to bookselling associations, amongst others, as part of a “dialogue [to] find out what they need from indie authors in order to be able to accommodate us.” – ALLi calling for partnership between traditional booksellers and independent authors. ALLi’s founder profiled in the Bookseller, with Orna’s thoughts on publishing and her journey to independent author. “The UK-based Alliance of Independent Authors (ALLi) has reached an arrangement with PubMatch, the international book rights network, providing ALLi members access to PubMatch’s premium range of membership services …” – More on our deal with PubMatch, allowing ALLi members to access even more ways of representation at fairs and to the wider book world.